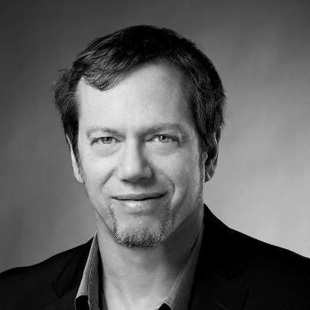 Robert Greene is an American author who is widely known for his intellectually and intelligently chosen subjects of his books – Power, Seduction and strategy. His four international bestsellers are The 48 Laws of Power in 1998, The Art of Seduction in 2001, The 33 Strategies of War in 2007, and The 50th Law in 2009 which his co-authored along with the renowned rapper 50 Cent. 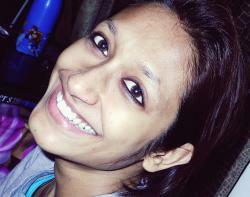 After earning a B.A. in classical studies from the University of Wisconsin-Madison, Greene did 80 different jobs in various positions including working as a construction worker, writer, translator, editor and Hollywood movie writer. His first book The 48 Laws of Power was written in 1998 and it became an international best seller with 1.2 million copies sold alone in the United States and has been translated into 17 languages worldwide. The 48 Laws of Power has been written for those who desire to know the different aspects of power. It has refined 3,000 years’ history of the laws of power by citing examples of many historical personalities including Sun Tzu, Henry Kissinger, Niccolò Machiavelli, Queen Elizabeth I, Carl von Clausewitz, P.T. Barnum and many more. His second international best-selling book, The Art of Seduction, was published in 2001. It is about power and seduction which are demonstrated through the examples of nine types of seducers. The best-selling book 33 Strategies of War was published in 2007. The book focuses on daily life and exhibits military wisdom by giving examples of some greatest historical figures such as Sun Tzu, Napoleon Bonaparte, Alexander the Great and Alfred Hitchcock. His fourth best-seller The 50th Law was published in 2009. The book features strategies to be fearless which has demonstrated by showcasing the rise of up-coming musician as well as some historical great personalities including Fyodor Dostoyevsky, Richard Wright, Socrates, Abraham Lincoln, Malcolm X, Machiavelli, Miles Davis, Charlie Parker, and the Baron de Montesquieu. His fifth book Mastery, which was published in 2012 on 13 November, has been featured in The Huffington Post, CNN Money, Business Insider, The New York Times Bestseller list, and Forbes. 1. Contentment, enslavement, ostentation, conservatism, impatience, envy, obsessiveness, rigidity, ego and narrow-mindedness are obstructor of your success. Convert them into determination, patience, flexibility, self-confidence, humility, adaptability and energy to reach to your destination anyway and anyhow. 2. Develop a craze for getting closer to your goal, feel connected to it consistently, plan for it and accomplish it with never-say-die attitude. 3. Be flexible to receiving new unconventional ideas and achieve them with a challenge that no matter how difficult they are, they are reachable. 4. Judge yourself impartially. We are naturally and emotionally attached to our bad habits which drag us backwards; therefore, don’t think twice on giving up your shortcomings and flaws. 5. Be intensely curious to know about anything that comes across you. Insatiable curiosity activates your creative energy which takes every new or unpopular idea into account and converts it into innovative things with the assistance of passionate sense of potential. 6. Embrace criticism. It can nourish your personal and intellectual growth, if rightly understood. 7. Know yourself, who you are, your true potential, what you want to achieve, these are the foundation on which your success is built. 8. Sometimes you have to shun your luxurious life and enter the threshold of long tedious and painful routine but don’t back step to maintain consistency because it will take you to a better and creative world. 9. You don’t have to shout to let the world know what have you accomplished; instead, let your hard work speak for you as it echoes louder than your words. Be patient, quiet and enjoy the wonder that your work makes for you. 10. Don’t let your preconceived notion steal your adaptability for change which is always better for your progress.